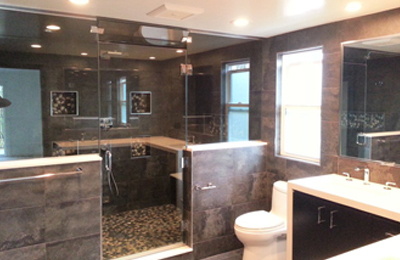 Planning a major home improvement like a bathroom remodel, kitchen remodel, or a room addition for your home in Duarte, California? 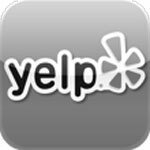 Let My Space Remodeling take care of your building and home improvements. Whether you need masonry work, electrical and plumbing services, HVAC, plastering, tile, or natural stone work our skilled professionals are ready. We’re ready for the great outdoors as well, with construction and design experience in sun rooms and other patio enclosures, outdoor kitchens, patio covers, decks, and gazebos. As a fully insured and licensed general contractor we’re a single company that can take care of it all — from painting to plumbing and electrical — for Duarte homes and businesses. Family owned and operated, we’ll work together to guide you through options suitable for your budget and create exactly the style, mood, and features you’re after. All along the way our experienced management team will keep everything moving along smoothly. And we offer easy payment terms as well as 100% financing OAC. Duarte California’s population of 21,321 is divided into 7,013 households. With 7,254 housing units, 66% are occupied by owners (plus a 1% vacancy rate) and 28 1/2 % by renters (plus a 4 1/2% vacancy rate). (Data from https://en.wikipedia.org/wiki/Duarte,_California) Redfin notes a median selling price of $435K, and $366 per square foot (https://www.redfin.com/city/5152/CA/Duarte). The City of Duarte Building and Safety Division issues building permits after reviewing plans for compliance with design, construction, quality of materials, occupancy, use, and location. Although the permit application is a seemingly simple 2-page form, a great deal of construction knowledge is needed, so leave all that to the experts at My Space Remodeling! For growing businesses and for the room and flexibility growing families need. a room addition is often a far better solution than moving. Businesses often need just a bit more office, storage, or display space. Changing families often have many more options to consider. Does adding a bedroom make sense without adding another bath? Maybe you should add a master bedroom suite with special accommodations and a luxurious master bath? Can that playroom become a home office later? Based on lot size and Duarte, California zoning you may need to make a choice between an added wing or 2nd story room additions. A patio enclosure can create a delightful screen room, or a sun room that’s comfy-cozy throughout the year at a fraction of the cost of other additions. If it’s been more than 10 years since your house was built or you last looked into a bathroom remodel, you’ll probably be surprised by the latest in fixtures. Not only do they save water, they also come in an amazing range of styles and materials and offer features you’ve probably never even thought of for your Duarte bath. We’ll meet with you to understand your style and preferences, then guide you through the many choices. How about an ultra modern sink set, or an old-style mason sink console? Perhaps a custom walk-in shower, or a soothing jacuzzi tub? Or perhaps you just want new counter tops, a replacement sink, and extra storage. 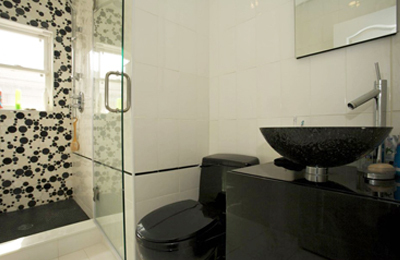 Whatever you’re looking for in a bathroom remodel we’ll make it happen. 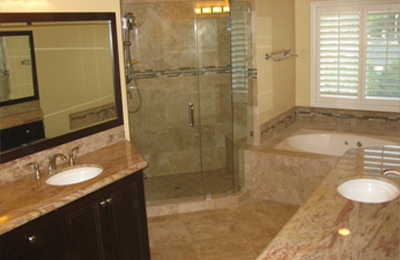 We provide affordable bathroom remodeling solutions for all Duarte, California. Nowadays there’s also a wonderfully wide range of styles and exciting new features for kitchen fixtures and major appliances. 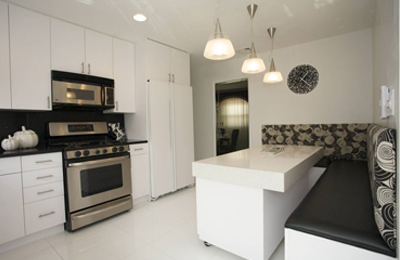 Stainless steel built in refrigerator-freezers and double ovens along with professional gourmet stove tops and hoods are popular ways to set a theme for a kitchen remodel. Glass-door kitchen cabinets — whether clear, textured, or frosted glass — are another popular contemporary touch. Or perhaps you want a country-style or Tuscan kitchen. Or maybe you just want a quick up date or a kitchen island. A new layout can turn a cramped-feeling small kitchen into an efficient workspace that you’ll enjoy being in. 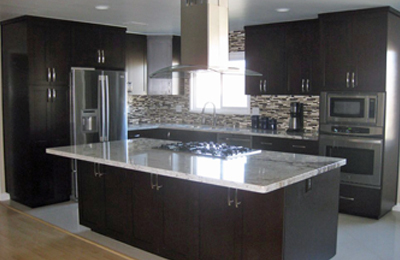 Just let us know what you want to see in your Duarte kitchen remodel! 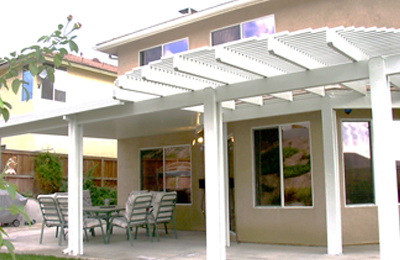 When it’s time to enhance your backyard experience, why stop at patio covers. How about an outdoor kitchen for the ultimate in Southern California style. We’re also experts in decks and gazebos for backyard getaways and party palaces. As suggested by Consumer Reports (http://www.consumerreports.org/cro/home-garden/resource-center/choosing-a-contractor/overview/index.htm) the first thing to check is that the bid contains everything you want, exactly the way you want it. Otherwise you could be facing expensive “change orders” later. The lowest bid might not even cover what you asked for! A good contact will describe everything in detail, including specifying things that are not included along with a project schedule and payment schedule. Avoid “binding arbitration clauses” if possible — they limit your legal options on the off chance that you have a dispute with the contractor.